D ecember begins soon, and in addition to cinnamon and nutmeg, the sweet scent of internships is in the air. The path to an internship can be long and winding for those of us who don’t finish our first semester of college with a clean set of A’s, or who realize they have an interest in an area late in their undergraduate years. Those who cannot break into the field will find it harder and harder to secure their first internship when competing for spots with those who have more experience. The gap only widens each year. Looking for insiders’ tips about the college admissions process? Sara Cohen, Former Assistant Dean of Admission at Amherst College, shares her top five application tips to help you fill out the best possible National College Match application! 1. Organize the “Activities” section of the QuestBridge or Common Application to list entries in descending order of importance to you. In other words, start your list with the activities that you spend the most time doing, have been involved in for the longest period of time, or have developed leadership roles within, so that admission counselors will see your most important activities first. 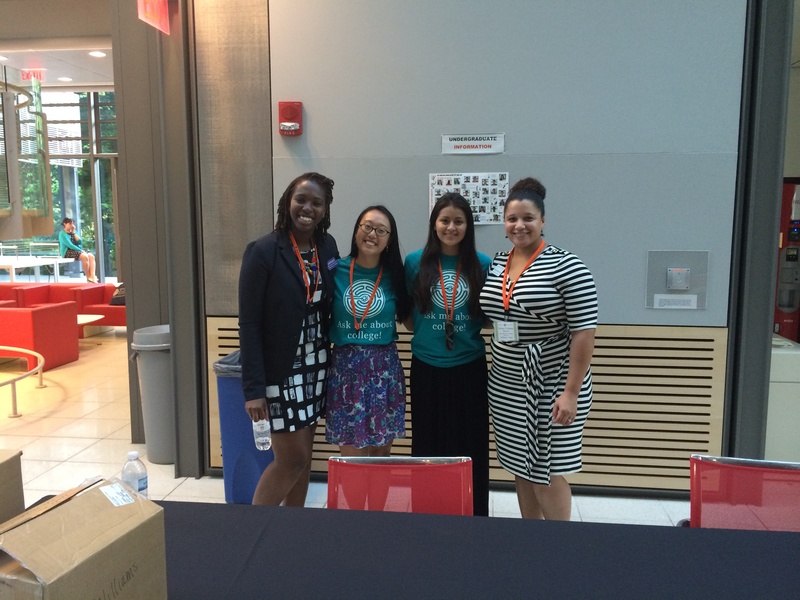 Attending the 2014 QuestBridge National College Admissions Conference at Princeton was, in a unique way, bittersweet. You see, I had attended the very same conference two years ago. I can remember the day like it was yesterday. I was wearing an oxford blue dress (wasn’t much of a dress girl, so it was weird), feeling nervous and excited. I had a great time at the conference and I came home full of motivation to fill out the QuestBridge College Match application. So coming back to the same chemistry building two years later as a Quest Scholar from Amherst gave me such a sense of relief, the kind a hiker gets after getting to the highest point of the mountain and admiring the glorious landscape. Believe it or not, but Frick Chemistry building in Princeton, New Jersey was my glorious landscape. After meeting the other fellow Quest Scholars/Group Leaders and going through training, I had the opportunity to meet the staff behind the magic that is QuestBridge. They seemed just as excited as the Group Leaders, which just filled the meeting room with energy — something we all needed after a long training session. At 5:00 a.m. the following morning all the Group Leaders reluctantly crawled our way out of bed to get ready for the big day. Thankfully there were bagels and coffee waiting for us at Frick. Before I knew it, it was 7:35 a.m. and we were all headed to our first stations. I was on parking lot duty, meaning Daniel (part of the QuestBridge staff) and I got to greet people at the park lot and direct them to Frick. I met many of the College Prep Scholars and their parents, guidance counselors, and family friends and even got hear their travel stories; some came from the town over, others drove all night from Kentucky. I headed over to meet my group, full of nerves and excitement. My mind was full of endless thoughts. “Don’t forget transition times!” “Don’t forget to pass out bingo sheets!” “What if I can’t remember the next room to go to?! ?” “What if my kids are anti-social?!”. Luckily none of that happened! I got a great group of students who were excited to be there and eager to learn as much as possible about the College Match process and QuestBridge. My favorite part about my conference back in 2012, and still my favorite part about this year’s conference was the college fair. I remember running around going from table to table learning about fly-in programs, summer programs, core classes, liberal arts schools (What were was those?!?). This year I got to watch the madness from a different looking glass. As I stood at the Amherst table with my admissions officer, I quickly realized how much I knew about my college. It was great to be able to show students how much Amherst has to offer and how even at a liberal arts schools there’s top tier research, athletics, dance and theater programs, fellowships, and best of all personal, relationships with the faculty. I also love Michael McCullough’s talk at the conference; both times he has managed to leave me and my fellow Group Leaders dumbfounded with the ideas and topics he brought to our attention — within only just that hour and thirty minutes or so. Once the conference was over, I had students come up to me, asking for advice, more information about Amherst/QuestBridge, and even my email address, so they could keep in touch during the application process. It was such an eye-opening experience. 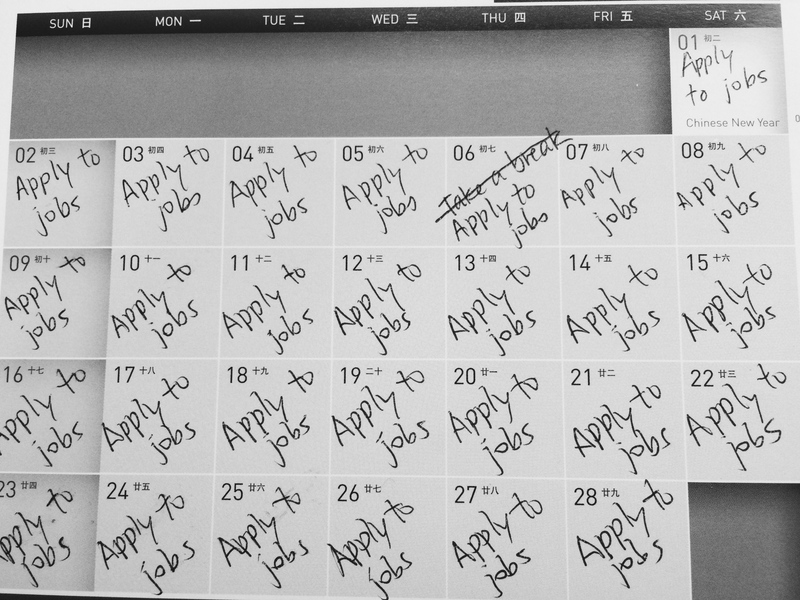 So far you’ve seen the “sweet” part… but now comes the “bitter.” Once the day ended, I realized that I actually missed the application process (SHOCKER). Even though it was the most stressful time of my life, it was also one of the most memorable. I realized the door has closed on that period of my life and that a new group of students were about to open it to experience everything I did and maybe even more. But it’s most definitely not a sad ending! I realized that I had been looking at the wrong door. Instead of reminiscing on my past life experiences, I had another door that was opened right next to me — a door I had opened by becoming a Quest Scholar, full of my freshmen year college experiences and waiting for three more years full of memories. I have QuestBridge to thank for my experience. It has been a rollercoaster in itself — full of joy, anxiety, unexpected turns, that funny feeling in your stomach as you plummet to the bottom of the hill where all you can do is scream, and much more. QuestBridge reminds me that we all have opportunities to be great and do great things and still humbles us as we embark on the ride.